Creative Business Development Briefing for April 2015 is out now! The April edition of our monthly business briefing for the UK’s creative industries is now live! This is a monthly publication that provides a digest of useful information about funding, financing, support and events to assist creative entrepreneurs with their innovation and growth agendas. This month’s edition offers edited highlights of a number of public funding programmes from leading organisations supporting our sector including: Innovate UK, Nesta, British Film Institute, Creative England, Creative Scotland, Horizon 2020 & more. The Knowledge Exchange and Impact Team (fondly known to us as KEIT) are a relatively new team within RKEO. KEIT is made up of an enthusiastic group of people working on exciting institution wide projects aimed at promoting research and engaging everyone from businesses to the general public with the work carried out by our academic community. As a new team we wanted to take the time to introduce some of our favourite successes from 2014, and let you who you can contact if you have an opportunity you think we should be involved with. 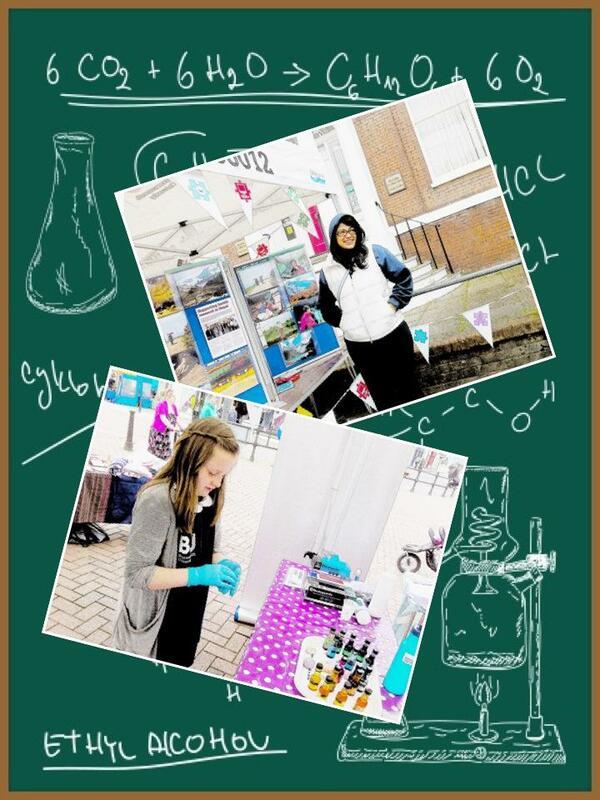 In 2014 we facilitated circa 15,000 engagements with BU research through activities such as the Festival of Learning, On Tour and Café Scientifique. 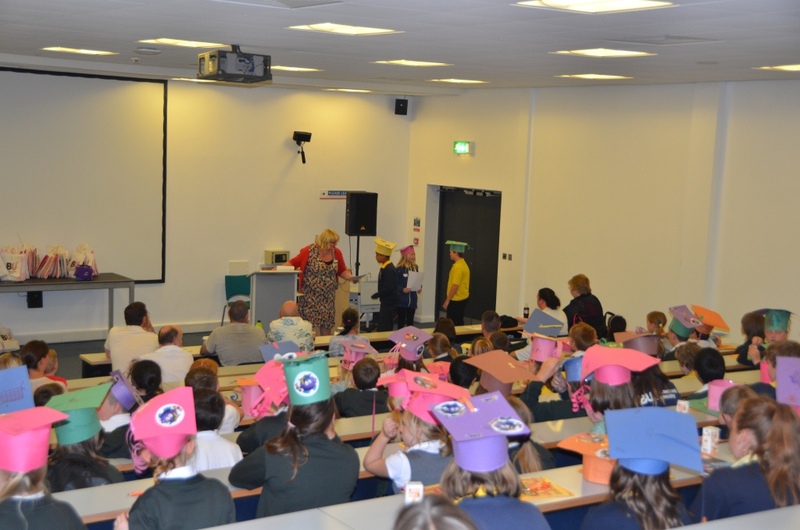 In December we headed off to the National Coordinating Centre for Public Engagement’s annual conference and presented the story of “Professor Puzzles Big Day Out”. The story followed our colourful mascot as he discovered the Festival of Learning, booked his tickets and came along to sessions such as “A Family Safari”, took part in fringe activities to build on his football skills and gave his feedback on his experience through a focus group. The story and gave us a chance to convey the unique nature of the Festival of Learning to our public engagement peers from across the UK. One of the highlights for us was hearing was our session pulled out by delegates as one of the highlights of the conference during the plenary. In 2014, BU received funding offers for three new Knowledge Transfer Partnerships (KTP). 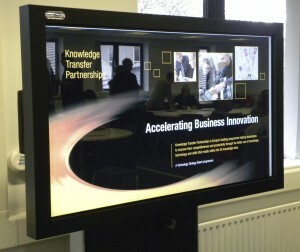 This demonstrates that BU is increasing it’s KTP activity and also our strong links with business. 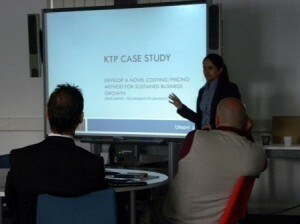 A KTP is a part-funded innovative project between the University and business which is of mutual benefit. Five Rivers Child Care and the Faculty of Health and Social Science – To develop, implement and validate an innovative model for the evaluation of intervention and treatment for children in a foster care environment, taking into account the complex developmental, emotional and behavioural needs of the children. 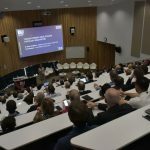 Chantacre and the Faculty of Science and Technology – To develop capability allowing combining cutting edge technologies into a unique solution resulting in internal efficiencies and pioneer new practices in the SME market for mobile convergence. Nautilus International Risk Consultants and the Faculty of Science and Technology – To embed innovative capability to automatically generate virtual 3D terrain landscapes. This will enhance situational awareness for training and operational purposes in extremely challenging environments in Military/Other Government Departments. 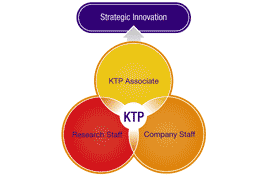 2015 sees the 40th birthday of the KTP programme. This year will be used to celebrate successes from KTP over the past 40 years and our very own Rachel Clarke, KE Adviser (KTP) is on the national steering group for the KTP@40 initiative. 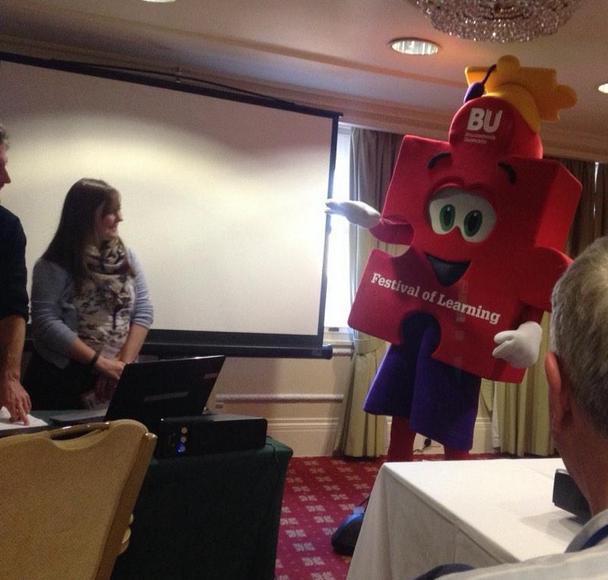 We’ve been working to enthuse students about the exciting research being done at BU. 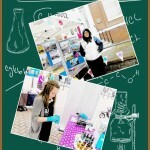 At the end of last year we took over the atrium on two occasions and ran mini activities for students to have a go at. 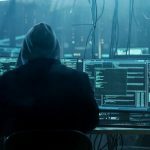 Stalls included topics such as marine diving videos, setting secure passwords and live action international server hacking maps, psychological taste tests, and displays of microscopic organisms. Over the 2 days over 300 students stopped to interact with stalls and learn more about BU research. The Innovation Projects call supports projects that are likely to generate little or no commercial return, but which will deliver impact. The call aims to increase and accelerate the uptake and impact of NERC funded research output by supporting translational and knowledge exchange activity which delivers direct tangible and demonstrable benefits to end users. The Follow-on Fund is for those projects that aim to be fully commercialised with a revenue stream derived from licensing, spinouts, consultancy etc. A maximum of £125k (£100k at 80% FEC) may be requested. Projects are expected to start in May 2015 and to last for up to 12 months. 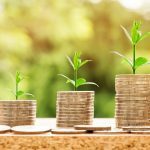 Smaller, targeted activities of three to six months are also welcome and NERC anticipates seeing a range of requests within the £125k limit, reflecting a diverse range of potential projects and activities. 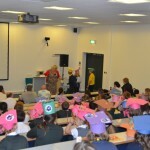 The Festival of Learning is back for the third year between 11th -17th July. This year will build of the fantastic success of the Festival in 2013 and 2014. Over the past two years the Festival of Learning has had circa 9,000 visits with an average event rating of 9 out of 10 and 96% of evaluated attendees stating that they would be very likely or likely to attend another event. To further this success in 2015, we need you to host lectures, workshops and debates (or whatever type of engaging activity you can think of) showcasing the fantastic knowledge base of BU. It is a great opportunity to celebrate life at BU and share your passion with a different audience. It can add fresh perspective to your research. Read this article about how public engagement can help you think about your research from a fresh perspective. It can change people’s lives. Here in the Festival office we have been moved by members of the public telling us about how the Festival has helped reignite a passion for learning, helped support the growth of the charity and even helped people to walk for the first time in years. It is a great networking opportunity. Colleagues involved in the Festival in previous years have developed partnerships which have, for example, led to collaborative PhD studentships. It helps to meet the expectation of funders and policy makers. 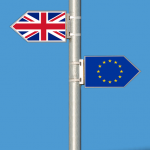 The European Commission, HEFCE and our Research Councils (amongst others) expect researchers to demonstrate to the public the value of their research. The Festival provides of a great vehicle to do this as you will receive central support (e.g. for marketing) rather than going it alone. It can support student recruitment. And not just undergraduates, but those looking for postgraduate courses and short courses who have never before considered BU as a potential place to study. The call for proposals is now open and closes on 19th December at 12noon. You don’t have to run a long event. Many members of the public actually prefer to attend an event which only lasts an hour or so, rather than for a whole day. The Festival runs from 11-17th July 2015. Eager Festival followers will note that the Festival of Learning is being held slightly later this year. This is in order to ensure that our local schools and colleges are able to participate more fully in the Festival and to avoid clashes with examinations (both those being held by schools and Universities). Would like to get involved, but not sure how? Don’t worry, help is on hand! Contact Naomi Kay for guidance as to how to develop an event. Looking for inspiration? 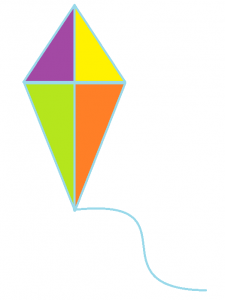 Why not check out the Festival of Learning website to see what we ran last year, or check out some other public engagement Festival sites such as the British Science Festival, British Festival of Nature or Cambridge Festival of Ideas. Smart is a grant scheme which offers funding to small and medium-sized enterprises (SMEs) to engage in R&D projects in the strategically important areas of science, engineering and technology, from which successful new products, processes and services could emerge. The next round opens on 17 July (and closes) 25 September with funding available from £25k to £250K. If you wish to consider developing an application for the grant – help is available. Please contact Jayne Codling – Knowledge Exchange Officer, R&KEO for further information. Do you want a Knowledge Transfer Partnership? Then come to our proposal writing workshop! On Tuesday 18th March 2014, Neil Grice, our local TSB KTP Advisor, will be leading a workshop here at BU. This workshop aims to help you write a KTP proposal that will more closely meet the requirements of the Technology Stategy Board and related funders, including major UK Research Councils. Remember that KTPs are a great way of demonstrating research impact. In the meantime, if you would like to know more about the KTP scheme, go to the TSB’s dedicated website. Here you will find lots of resources for academics, companies and graduates. Specifically for academics, is the TSB’s Innovation through Collaboration brochure – KTP_Acad_Bro_Press_DEC_13. ESRC is to change the way in which it allocates funding for knowledge exchange activities. The current knowledge exchange opportunities scheme provides funding for social scientists to undertake a range of activities with non-academic stakeholders and requires 50% contribution from a partner in the user community. 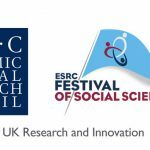 It is open to any social scientist to undertake knowledge exchange based on their research, whether funded by ESRC or not. This scheme will close on 31 March 2014. From summer 2014, a replacement scheme (Impact Acceleration Accounts) will fund knowledge exchange through a block grant allocated according to institutions’ recent ESRC funding. Those institutions allocated funding will then be required to submit a business plan in order to release the money. 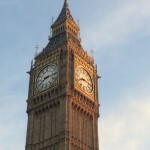 BU has not been allocated funding through the Impact Acceleration Accounts, so if you are a social scientist and hope to undertake funded knowledge activities, start planning your application now for submission by March… Further information can be found at http://www.esrc.ac.uk/collaboration/knowledge-exchange/opportunities/index.aspx. The Institute for Small Business and Entrepreneurship (ISBE) Research and Knowledge Exchange (RAKE) fund is an initiative supported by Barclays Bank and the Economic and Social Research Council (ESRC) administered through ISBE. This initiative aims to encourage and support research activities from academics, third sector organisations, consultants and practitioners with the ambition of drawing together and generating an entrepreneurial community of practice to facilitate knowledge exchange and transfer. Applications are invited from individuals or teams. Collaborative bids which draw together any combination of third sector organisations, academic researchers, consultants and practitioners are welcome. 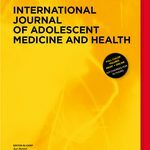 The Principal Investigator must be employed within a UK institution but may be partnered with an international team. Research teams which demonstrate capacity building through collaborations between experienced and early career academics would be favourably considered; applications which demonstrate ‘in-kind’ contributions from partner organisations are welcomed as are those jointly funded from other sources. Applications presented as pilot studies, with the aim of generating future funding from other sources, are encouraged. As such, we wish to promote engagement with all who have an interest or stake in generating further insight and understanding into contemporary entrepreneurial activities, behaviours and practices. For the 2012 call for applications, a number of critical themes have been identified which are of contemporary interest and offer potential to develop knowledge exchange and transfer links. Clearly, the contribution of entrepreneurship and entrepreneurial activity can be mapped onto these priorities. Thus, applications which indicate their relevance to these issues would be welcomed. Despite any distinctive focus, it is emphasised that all proposals must clearly demonstrate and describe relevance to the notion of knowledge transfer and exchange related to the context of the bid. For this round of funding, they envisage awarding a number of separate grants of around £10,000 – £12,000 each. These will not support full economic costing given ISBE’s position as a registered charity. Applications for smaller, seed corn funds would not be discounted however, bids of over £12,000 will not be considered. The closing date for applications is 5 p.m. Friday 15th June 2012 with notifications of awards given by mid September. It is suggested that the earliest starting date for research projects should be 1st October 2012. Completed applications may be returned electronically to Chris Rolles at chris@isbe.org.uk To download an electronic application form please click here Please submit applications in MSWord format – not as a PDF file. This enables anonymisation of proposals. Professor Susan Marlow s.marlow@bham.ac.uk VP: Research ISBE: RAKE Fund Manager. The latest meeting of the University Research and Knowledge Exchange Forum (URKEF) was held on 23 April. A summary of the key points is given below. The Publications Management System aka BRIAN (Bournemouth Research, Information and Networking) will be fully launched on 22nd June. More details of BRIAN will be published soon. Collaboration Tools for Academics – blogs, wikis and web cloud to go live at the end of April. PGR Monitoring System – contract negotiations are underway and an implementation approach to be agreed with the supplier, Aveda. pFACT – interface testing taking place. Erasmus Mundus – the scheme involves students and staff increasing their European mobility. The paper sought approval for R&KEO to formally take over the management of Erasmus Mundus for BU, which was endorsed. More information on the scheme can be found in the link above. Internal process for calls with institutional quotas – the proposed process is for when external funders use quotas, have limited awards available, or require an institutional self-sift prior to submission for their calls. 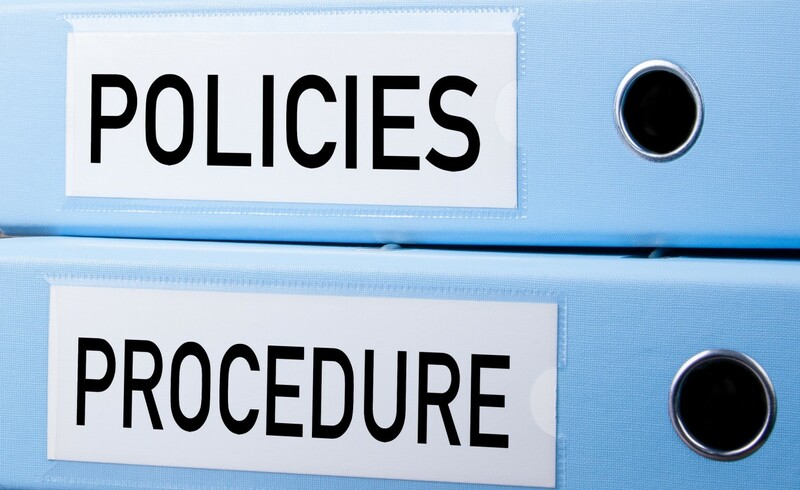 The current process is adhoc and so a more formal process of academics registering their interest in a call and submitting an outline proposal, internal peer review, PVC decision, and then support provided by the RDO will lead to better management and resource of staff expectations and the best applications going forward. The process was endorsed. Grants Academy – this was launched last month and the first training session will take place on 9-10th May with 15 BU staff taking part. 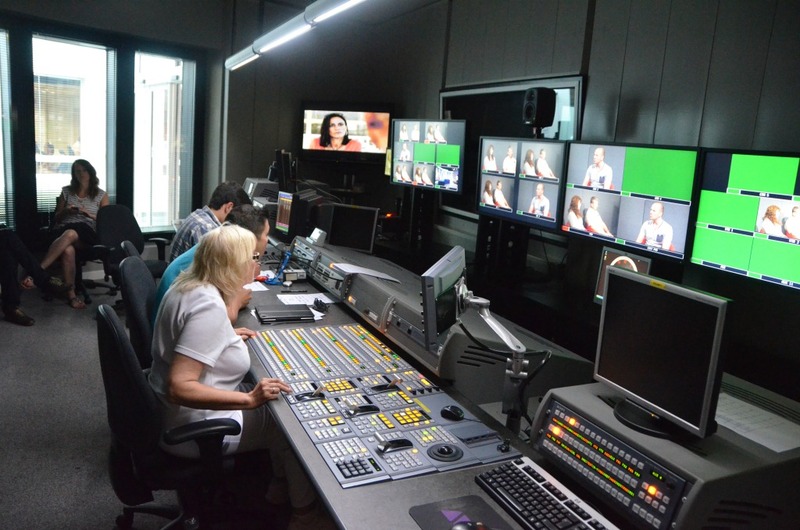 The Media School will pilot strand two. 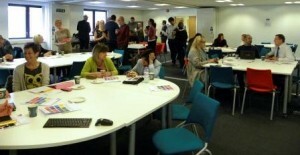 There was discussion around bespoke training sessions, which was encouraged. Fusion Investment Fund – FIF was launched last week and there are three key strands available to staff: staff mobility and networking, co-production and co-creation, and study leave, all of which will stimulate student education, research and professional practice and have huge potential. Individual grants will be awarded between £5-75k (depending on the strand), and £3M is available in total per annum for the first three years. The fund is merit based and underpins a competitive spirit in order to create upskilling and so excellent applications will need to be put forward. Where Schools have funds for pump priming research, the requests can be far greater than the School can afford. Paring budgets down means that more can be afforded and double-counting is avoided. RKE Ops meetings with Schools – Major funders run Early Career Researcher schemes and often require a statement from the School outlining how a proposed project fits within the institutional/ School research, career development and knowledge transfer strategies. RKE Ops have been raising awareness of this with the Schools as the letters indicating support are a really important part of the selection process, and require considerable thought and development. 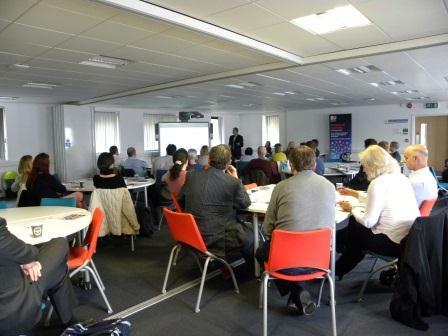 Recent feedback from ESRC highlighted several areas where BU could improve on. There are BU wide schemes that will feed into this such as the Vitae Researcher Development Framework and the Grants Academy, which will help to develop bid writing skills and provide mentoring for successful projects, which will be mentioned at future meetings. HEIF-5 update – Funding had been agreed with HSC to support their dementia theme (BU Dementia Institute). Also, the Media School theme (Soho on Sea) staff are going to LA soon to visit Pixar and other major animation companies. It was emphasised that BU are always looking for investment strategies, innovation and themes and Schools were encouraged to come forward and discuss ideas and see what could be done for them. I am a postgraduate researcher in the School of Applied Sciences at Bournemouth University, supervised by Professor Adrian Newton and Dr. Duncan Golicher. My research focuses on defining patterns of tree species diversity that can be used to inform conservation planning within Central America. This species-rich region harbours many species not found elsewhere in the world, including endemic primates, birds and plants. The region’s growing population and widespread poverty mean it is an area of highly competing land use interests. It is therefore important to identify and prioritize areas with unique groups of species for conservation efforts. 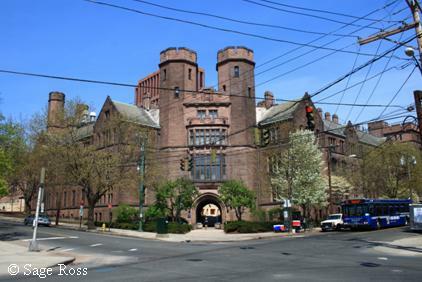 In January and February, I visited Professor Walter Jetz’s lab at Yale University. The purpose of my visit was to start collaborating with Dr. Dan Rosauer (a post-doc in the Jetz lab) to develop a method for identifying areas containing unique groups of tree species. During my visit, I received training in the specific method and software which I will implement during my research. In addition, I had the opportunity to participate in graduate seminar discussions led by Professor Jetz on hotly-debated ecological topics such as “niche conservatism” and the “heritability of species range sizes.” Chatting with members of the Jetz lab over many pad thai lunches was also a great learning experience, as I heard about their various research projects and discussed options for tackling some of the challenges in my own research. 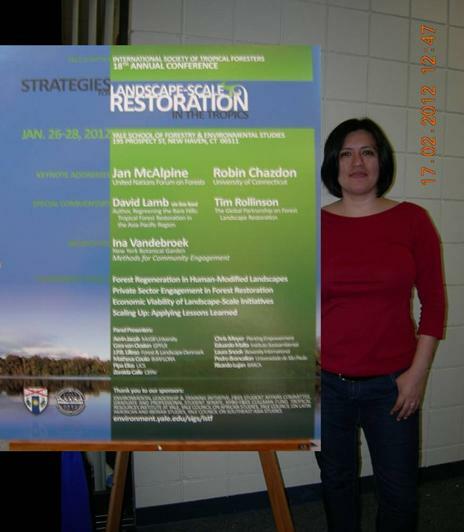 As an added bonus, I also had the opportunity to attend a conference on Landscape-Scale Restoration in the Tropics organized by the International Society of Tropical Foresters. This was a great opportunity to network and to learn about research prospects in forest restoration in tropical areas around the world, including my study region. This exchange visit was a very rewarding experience for me and I would encourage others to take advantage of such opportunities. This partnership started with a simple exchange of email communication. It is therefore important that researchers are encouraged and enabled to build collaborations as this fosters the exchange of ideas that knowledge is built on. The Santander grant offers a good chance for researchers to put their collaborative ideas into action. Many thanks to the Santander grant for sponsoring me. Thanks to the BU Research Development Unit and Applied Sciences Administration Office for helping me to coordinate the details. Finally, thanks especially to Professor Jetz and the members of his lab, especially Dr. Dan Rosauer, for welcoming me and sharing their expertise. The Impact Awards, organised by PraxisUnico, recognise and celebrate the success of collaborative working and the process of transferring knowledge and expertise beyond higher education, charities and public sector research establishments for the wider benefit of society and the economy. This award recognises projects that have made an outstanding business impact through successful knowledge transfer, where the impact can be quantified and measured. 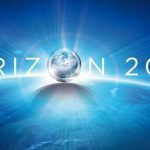 This award recognises projects that promise to make an outstanding business impact through successful knowledge transfer, but where the impact may be currently latent or unquantifiable. This award recognises collaborative projects that leverage the intellectual assets of the research base. Types of projects might include research collaborations or consultancy with business or the public sector and/or knowledge transfer projects involving more than one higher education or research institute. This award recognises an individual, who has not more than five years’ experience in a technology/knowledge transfer role. For further information visit the Impact Awards website. If you’re interested in submitting to the Awards, let me know and we will support you with your application.